This year there was a broader range of attendees than reported in 2017. 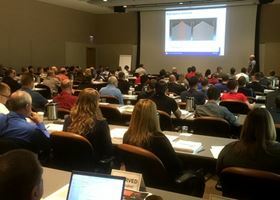 The MPIF says that its annual Basic Powder Metallurgy (PM) Short Course, held from 13–15 August, received good feedback from attendees, with over 98% stating that they would recommend the course to others. This year there was a broader range of attendees than reported in 2017. Of the over 100 attendees engineering represented 44%, while quality control and testing and sales employees made up 10% and 11% of the audience, respectively. Production (15%), other (15% – mostly R&D).